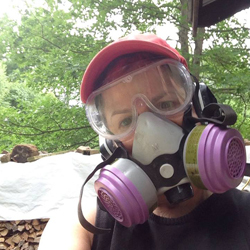 Tony Moore's wood-fire kiln, art studio and the Ligenza Moore Gallery offers several Kiln Assistant and one Resident Studio Assistant position. While some of the following assistants have held these for several years, or are just commencing, periodically positions may change or be added. We are most grateful for all the help these individuals have given to the kiln and studio, as well as those participants who assist with each firing. The Resident Studio Assistant position is now available. Jessikah began working with clay in 1996 at the age of 5. 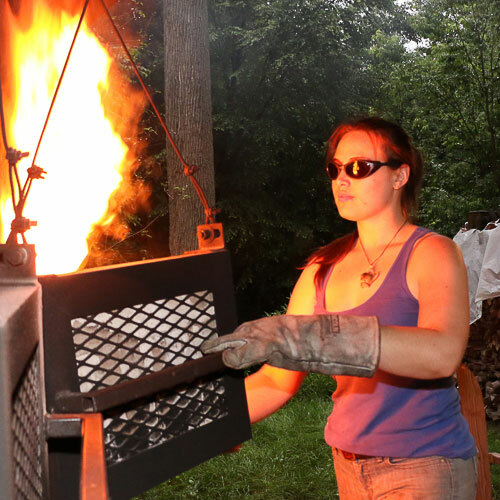 While recently a BFA graduate from Pratt, she has wood-fired at Tony's kiln since 2011, becoming his Studio Assistant in 2014. She is currently a wheel instructor at The Potter's Wheel, Queens, NY and is pursuing a career as a full-time studio potter. Her current work combines modern forms with images of traditional Japanese woodblock prints. Jessikah has participated in numerous juried regional exhibitions and was Artist in Residence at Worcester Center for Crafts, MA, in fall 2015 thru '16. 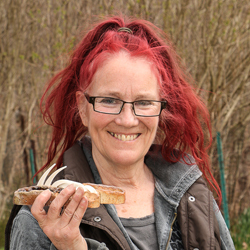 Deborah has been a part-time potter since 1970 and committed wood-firer since 1999. She began at Greenwich House in NYC, had her own studio in Massachusetts for 8 yrs. 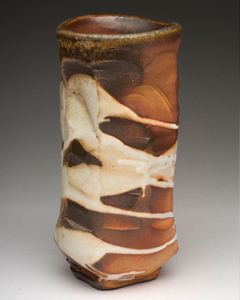 and worked extensively with the late Malcolm Davis, both in perfecting her approach to porcelain and learning the intricacies of shino glaze. "Primarily, porcelain bottles have consumed me for several years and as long as the wood-fire is so kind to them I will continue to explore." 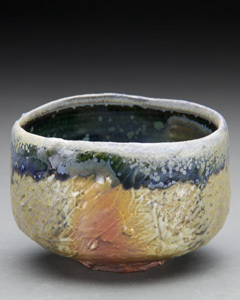 Deborah commenced working with Tony in 2008, quickly becoming his lead kiln assistant. 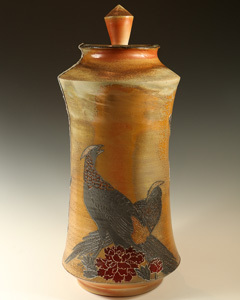 She also partners at Lynn's studio firing gas and salt kilns. 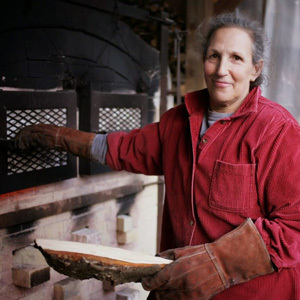 Meg "makes her life" as a full time ceramic artist in the woods of Stone Ridge, N.Y. She has fired her work at Tony's kiln since 2009. 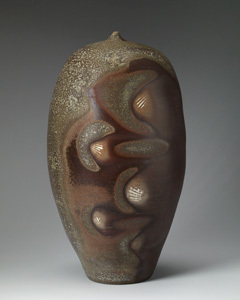 Her wood fired ceramics are both sculptural and functional, inspired by the natural world and the human body. 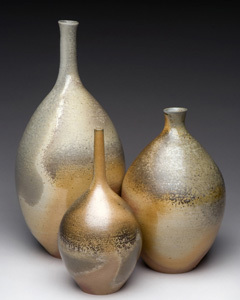 Her pieces aim to reflect the color, depth and perfect imperfection of natural forms. "The act of making connects me to myself and to the world." 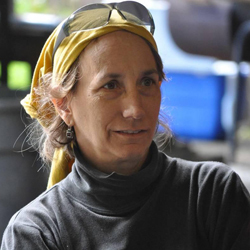 Meg's work has been juried into numerous regional shows as well as local galleries in Woodstock and Kingston, N.Y.
Deborah began working with clay in 2005 and since 2010 has fired at Tony's wood-fire kiln. 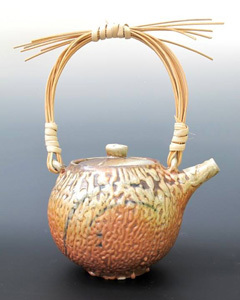 Her ceramic works are influenced by traditional styles that have their roots in the aesthetics of Japanese and Korean pottery. Deborah's pots are "imbued with a love of nature and a desire to explore contrasts in everyday life". 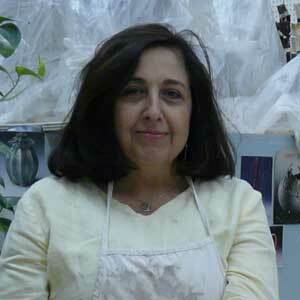 She is an Artist Member at the Clay Art Center, Port Chester, NY, where she maintains a studio and has participated in numerous regional juried exhibitions.